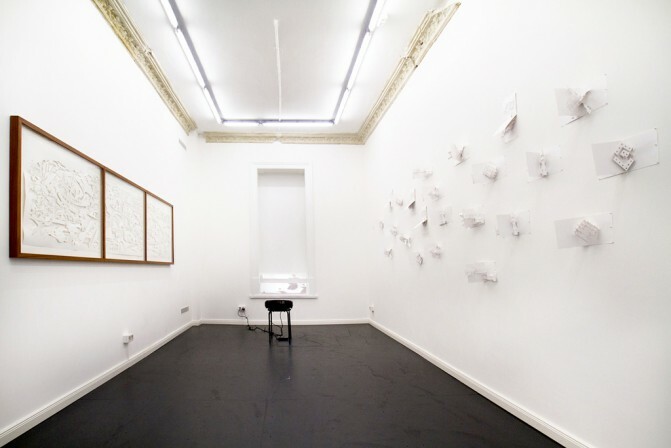 “White to play and win” is an exhibition composed of two major pieces. 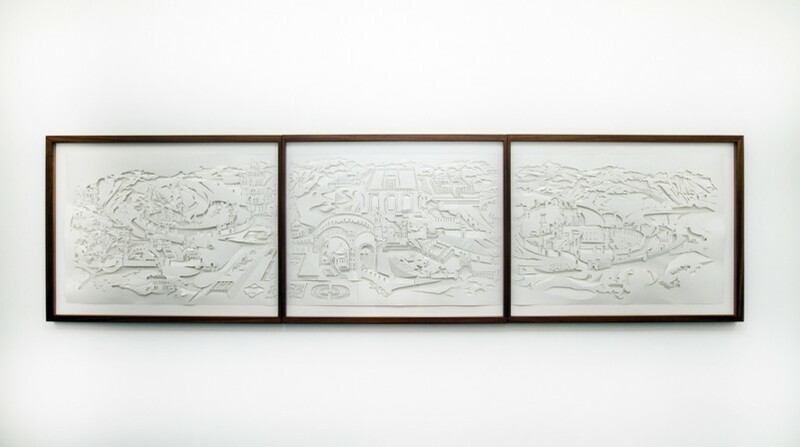 The center piece is a paper cutout landscape which oscillates between map and model – a depiction of a celestial city. 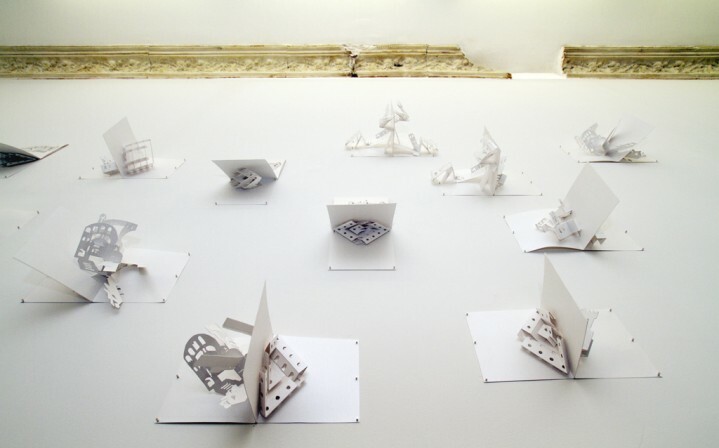 The second one is a composition of popup elements drown from the map and serves as pieces or pawns. White to play and win is a particular task presented to a solver of a chess problem. It means that the solver should play the white pieces and his goal is to checkmate the black. However, this is not a battle of two opponents; the game is played by one solver that plays both sides. 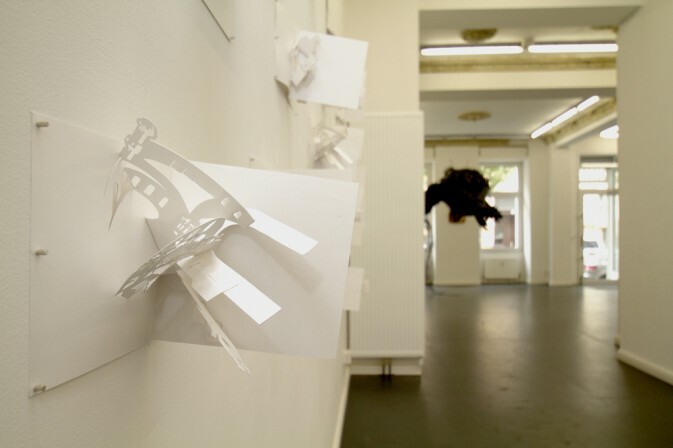 The art work White to play and win offers a possible method for art creating. It begins with reverse engineering of existing artwork (Flood, Petach tikva Museum of Art, 2012), trying to find and formulate an algorithm that describes it. 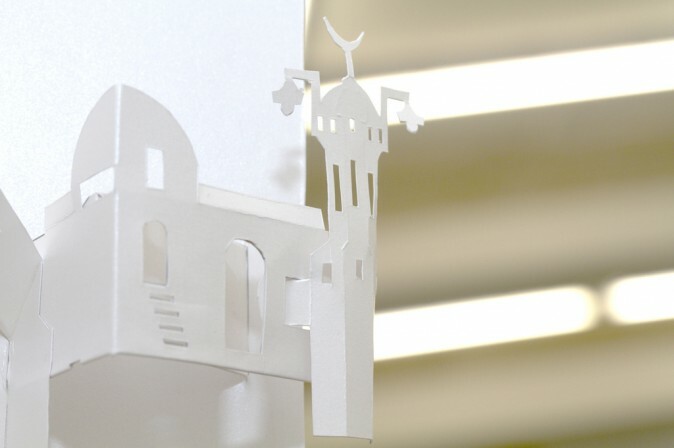 The building blocks of this formula are the pop-up booklets functions as a domino blocks: Each booklet has two faces; each fold presents a different mechanism with different movement. 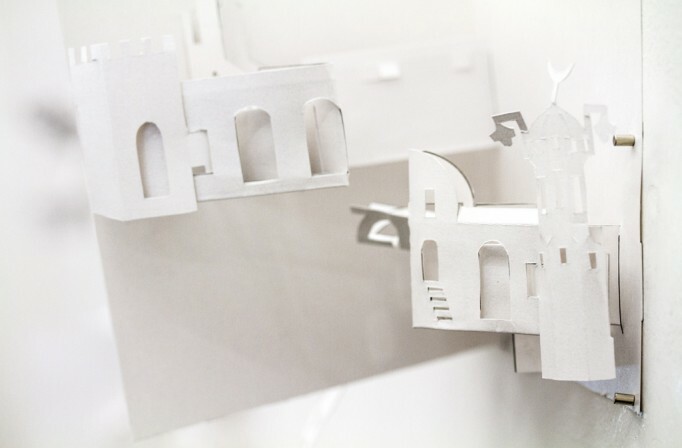 The booklets can be placed next to each other, by this rule: both booklets include the same pop-up mechanism and the two mechanisms should face each other. Mirroring the mechanisms of both booklets folds creates a sequence of different mechanisms producing continuous motion of a larger system.